Sustainability begins in the chilled aisle. But we’re not just talking about organic yogurt. The refrigerators themselves make up around 60 percent of a supermarket’s total energy requirements, followed by around 20 percent for lighting. And it doesn’t stop there. What opportunities should supermarket operators now be using to minimize operating and energy costs and greenhouse gas emissions? The easiest way for supermarket operators to save on energy costs in the long term is through efficient refrigerator technology and lighting. These technologies will improve the energy balance, and help to meet national and international climate targets and the associated reduction in greenhouse gas emissions. Detailed energy monitoring will help supermarket operators to record and evaluate their ongoing energy use. Load peaks will be highlighted and weaknesses revealed. Further efficiency-increasing and cost-minimizing measures can be quickly and easily derived from this information. On average, supermarket operators spend 1.6 percent of their annual net sales on energy. 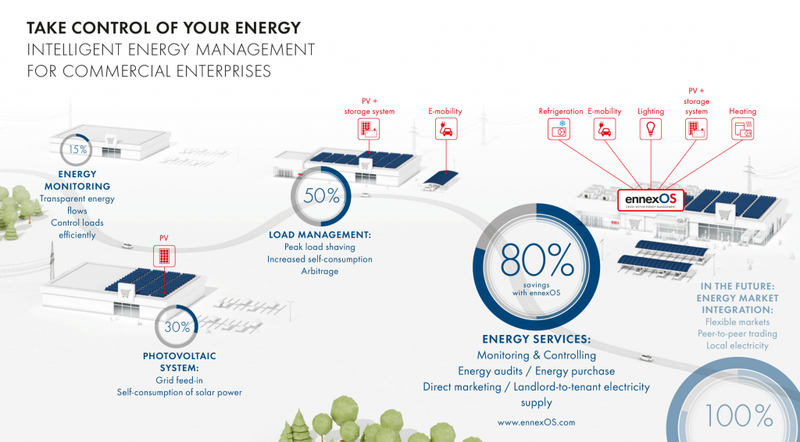 With a PV system on the roof and a battery-storage system, supermarket operators can generate their own electricity. Intelligent energy management will automatically balance generation and requirement to ensure that the largest possible amount of solar power can always be used. In the modern energy industry, supermarket operators also become prosumers by making their excess energy available to the utility grid and thus contributing to keeping the grid stable. Wind and solar energy are not always available at the same time and grid feed-in fluctuates accordingly. Network services are therefore becoming increasingly important and also mean attractive additional revenue. The large, unused capacity of refrigeration units can also be used here. Their compressor capacity has to be designed for the warmest and coldest days. Once all food safety requirements have been met, supermarkets can, on average days, make their unused capacity available as thermal storage. Supermarket operators can use direct marketing to sell their solar power to interested buyers. The best prices are achieved when the demand for electricity and, in turn, the price on the power exchange, is particularly high. Direct marketing can be an alternative to the feed-in tariff. The PV system operator receives a fixed feed-in tariff from the grid operator to feed their electricity into the grid. The grid operator or the relevant transmission grid operator is reimbursed the difference between the market price and the price paid to the PV system operator. This reimbursement is financed by the consumers, as per the EEG (Renewable Energy Sources Act) apportionment. 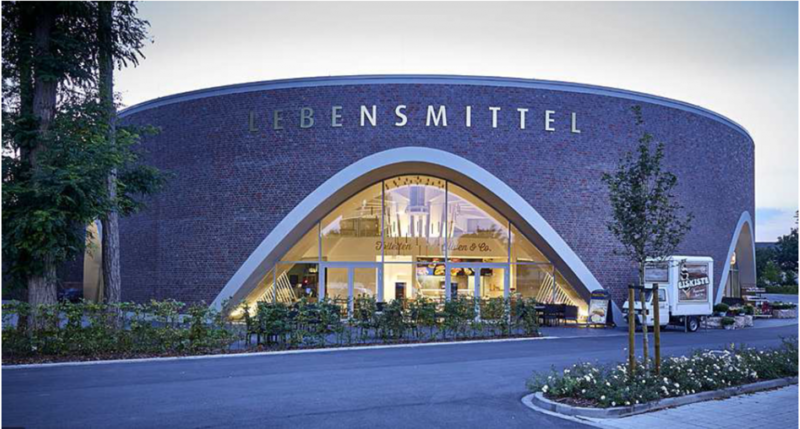 The aktiv&irma supermarket in Oldenburg is showing how intelligent energy management can become a win-win situation both for business operations and the climate. In the joint Pilot project by SMA and Danfoss A/S, the Data Manager M connects the management system for the building technology and refrigerator technology by Danfoss with all energy consumers and the storage and charging infrastructure. Consumers and employees are becoming more demanding. Consumers are demanding more organically grown, local and fairly traded products. Employees don’t want to work for just any company. They want to achieve something meaningful and be rewarded for their efforts at work. Supermarket operators can score several points at once with a sustainable energy efficiency policy. They can involve customers and employees with green energy. They keep energy costs to a minimum, turn shopping into a positive experience and become more attractive employers. And that’s how supermarkets can become one of the main pillars of the energy transition. At its Connecting Energy event on March 8, 2018, SMA gave an overview of its new energy management platform ennexOS and its commercial storage solutions. The event was booked out. We will write about the event highlights on this blog. coneva GmbH, a wholly-owned subsidiary of SMA Solar Technology AG based in Munich, provides supermarkets with energy monitoring, control and management solutions. This is based on the IoT energy management platform ennexOS. This connects all relevant generators and loads, integrating electrical and thermal components, and making the energy supply efficient and economical.